Gossip columnist Ethel Lambston knew everything about everybody who was somebody - so there were more than enough suspects in her murder. But for Neeve Kearny, owner of an expensive Madison Avenue boutique, the killing of one of her best customers had eerie echoes of another death that occurred many years earlier - the murder of her own mother. Edge-of-the-seat story, but abridgment CHOPPY! At a party in Manhattan, Maggie Holloway - one of the fashion world's most successful photographers - is thrilled to be reunited with her beloved stepmother. 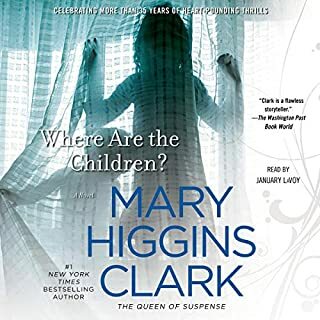 A widow now, Nuala Moore is equally delighted to see her long-lost stepdaughter and invites Maggie to spend a few weeks at her home in Newport, Rhode Island. But when Maggie arrives, she finds Nuala murdered, apparently by a burglar. 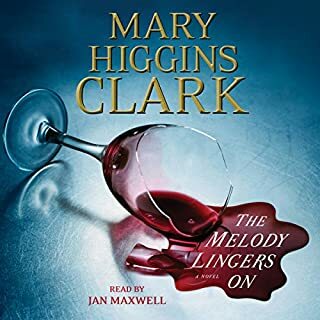 Heartbroken, Maggie is stunned to learn she had inherited Nuala's stunning Victorian home...and horrified when she begins to suspect that Nuala's death was not random, but part of a diabolical plot conceived by a twisted mind. Kerry McGrath had only begun to work in the county prosecutor's office at the time of the infamous "Sweetheart Murder Case" - the bizarre slaying years ago of strikingly beautiful Suzanne Reardon. Now, 10 years later, Kerry has gained a reputation as a smart and relentless prosecutor - so much so that her name has been given to the governor as a candidate for a new judgeship - and her new life and career are in full swing. Ellie Cavanaugh was only seven years old when her 15-year-old sister, Andrea, was murdered near their home in a rural village in New York's Westchester County. There were three suspects: Rob Westerfield, 19-year-old scion of a wealthy, prominent family whom Andrea has been secretly dating; Paul Stroebel, a 16-year-old schoolmate, who had a crush on Andrea, and Will Nebels, a local handyman in his 40s. A young woman is haunted by two murders that are closely linked -- despite the 110 years that separate them. 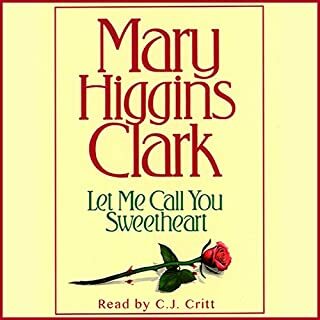 Following the breakup of her marriage and her pursuit by an obsessed stalker, criminal defense attorney Emily Graham accepts an offer to work in a major Manhattan law firm. Feeling a need for roots, she buys her ancestral home in New Jersey, which her family sold in 1892, after the disappearance of young Madeline Shapley, one of Emily's forebears. 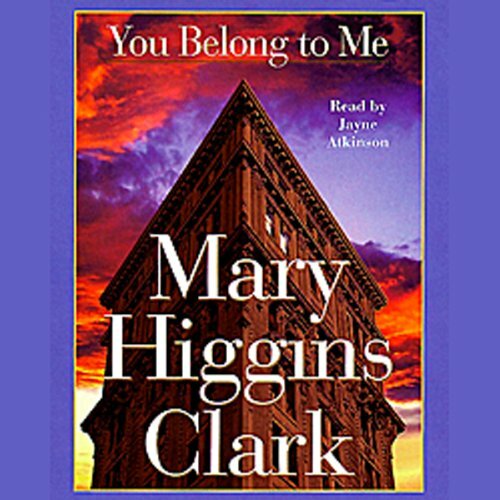 A killer who targets lonely women on cruise ships is at the center of Mary Higgins Clark's newest thriller You Belong to Me, a masterful combination of page-turning suspense and classic mystery. 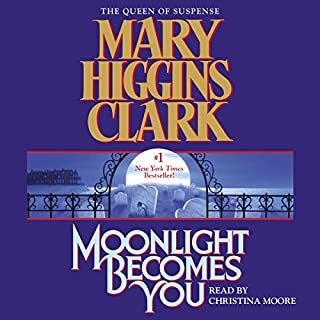 When Dr. Susan Chandler decides to use her daily radio talk show to explore the phenomenon of women who disappear and are later found to have become victims of killers who prey on the lonely and insecure, she has no idea that she is exposing herself - and those closest to her - to the very terror that she hopes to warn others against. 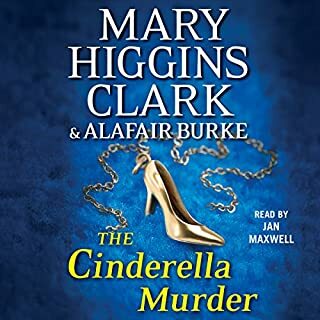 Susan sets out to determine who is responsible for an attempt on the life of a woman who called in to the show offering information on the mysterious disappearance from a cruise ship, years before, of Regina Clausen, a wealthy investment advisor. 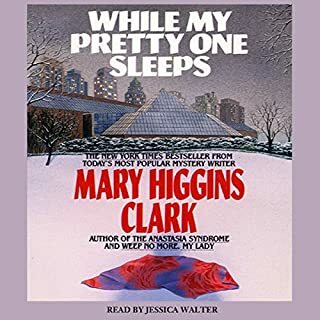 Soon Susan finds herself in a race against time, for not only does the killer stalk these lonely women, but he seems intent on eliminating anyone who can possibly further Susan's investigation. As her search intensifies, Susan finds herself confronted with the realization that one of the men who have become important figures in her life might actually be the killer. And as she gets closer to uncovering his identity, she realizes almost too late that the hunter has become the hunted, and that she herself is marked for murder.